Unless Antoine Griezmann does something utterly extraordinary during Sunday’s Euro 2016 final, he will not win the Ballon d’Or. That honour will, instead, go to Cristiano Ronaldo. Even before mid-July the race has seemingly been won. The Portuguese has won the annual shootout against Lionel Messi, thanks largely to two penalty kicks. Ronaldo scored his in the final of the Champions League, his Argentine rival squandered his in the Copa America. The Ballon d’Or has been monopolised by the pair since Kaka lifted the trophy in 2007. No doubt the duo are the best players in world football, yet their status as untouchables is dogma. Over the course of the last six years alone, both Wesley Sneijder and Franck Ribery have deserved the Golden Ball. Neither has been consistently superior to Ronaldo or Messi during this time frame, but during 2010 and 2013 respectively, they were better. Now Griezmann is set to become the latest player scorned in what has turned into a popularity circus, in which national team coaches and captains seem apparently compelled to side with one of the ‘Big Two’. Yet the Frenchman’s numbers have been outstanding. Over the course of the last season he has scored 32 goals for an Atletico Madrid side that continue to compete with city rivals Real and Barcelona, despite having only a fraction of the resources of the Clasico pair. His campaign was marred only by a fractionally missed penalty during the Champions League final against Los Blancos, yet he showed his nerve to convert from 12 yards in the shootout that Diego Simeone’s side ultimately lost. After a slow start at Euro 2016, he has developed into France’s key figure and undoubtedly the tournament’s outstanding player. The 25-year-old has scored six times in the competition - more than anyone else has ever achieved in a single championship with the exception of Michel Platini, and three of those have been match-settling strikes. Griezmann has broken ground untrodden for a generation, fired an unfancied side to the very brink of becoming European club champions and has been the pivotal figure as the Euro 2016 hosts close in on glory. His contribution has become even more outstanding since the Argentine uttered those words, and should France come through victorious on Sunday, his CV for 2016 will almost certainly be superior to Ronaldo’s, particularly in the context of him playing his club football with a relative underdog. Away from the park, he has carried himself in a dignified manner. There have been no tantrums, no dramas, and no objects being hurled petulantly into any nearby bodies of water. As is the case with any Atleti player, the team is of primary importance and Griezmann embodies that spirit, covering the second most distance of any player in the Champions League last season. He does not promote himself as an individual in the manner of the preening Ronaldo, whose fake tan and plucked eyebrows provide an airbrushed image of what many fans aspire to become. His apparently insatiable desire to flex his ample muscles after every goal he scores gives the impression of someone who loves himself just a little too much. The Portuguese is the ultimate individual. He is a superb athlete and an incredibly talented player, but his goal is personal, not team, glory. Free kicks are the best example of his egotism. Largely unheralded left-back Raphael Guerreiro is Portugal’s best dead-ball taker, yet it is Ronaldo who lines up to shoot at every available opportunity. How could he submit such important situations to someone who was playing for unfashionable French outfit Lorient until just a few weeks ago? Should one of his efforts from 40 metres or more finally fly into the net, it will be remembered as one of the greatest goals ever, yet the inefficiency from the countless opportunities he has squandered is mind boggling. Playing for Real Madrid or Barcelona brings with it exposure and support that other players simply can't match. The Clasico pair are two of the game’s superpowers, both on the field and commercially, which allows them to market their stars to an unparalleled degree. Moreover, football’s governing bodies pander to the game’s superstars. Uefa allowed Ronaldo the unprecedented luxury of reading a brief statement after he won the Man of the Match award during Portugal’s 3-3 draw with Hungary. The player did not, therefore, need to field questions from the media regarding his actions earlier in the day, when he had thrown a journalist’s microphone into a lake. He left unchallenged, allowed to preserve his dignity when his actions deserved to be scrutinised. To win an individual award such as the Ballon d’Or, self-promotion and image is of the utmost importance. Ronaldo gathers the most column inches, the greatest readership, dominates highlight reels and provokes the most debate – as this article is testament to. His flair masks the industry of others, his goals drug supporters into believing he is untouchable but crucially the PR machines behind him are persistently pushing him into the spotlight at the expense of others. Arsenal manager Arsene Wenger has often voiced his distaste for awards such as the Ballon d’Or. “The modern world is too much about individuals,” he grumbled last November. Football, though, is about finding players who get the best from themselves and their team-mates. 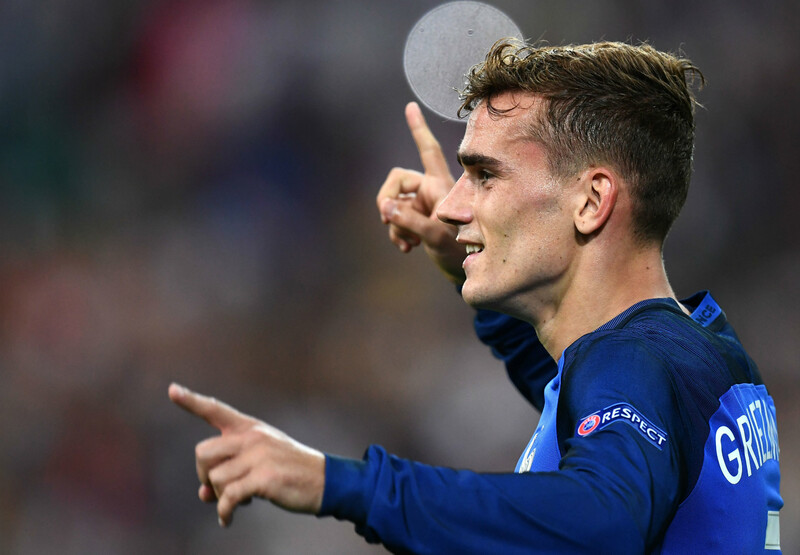 Griezmann has embodied these attributes in 2016, yet unless – and perhaps even if – he scores a match-winning hat-trick on Sunday he will be overlooked in favour of Ronaldo and his formidable PR machine.